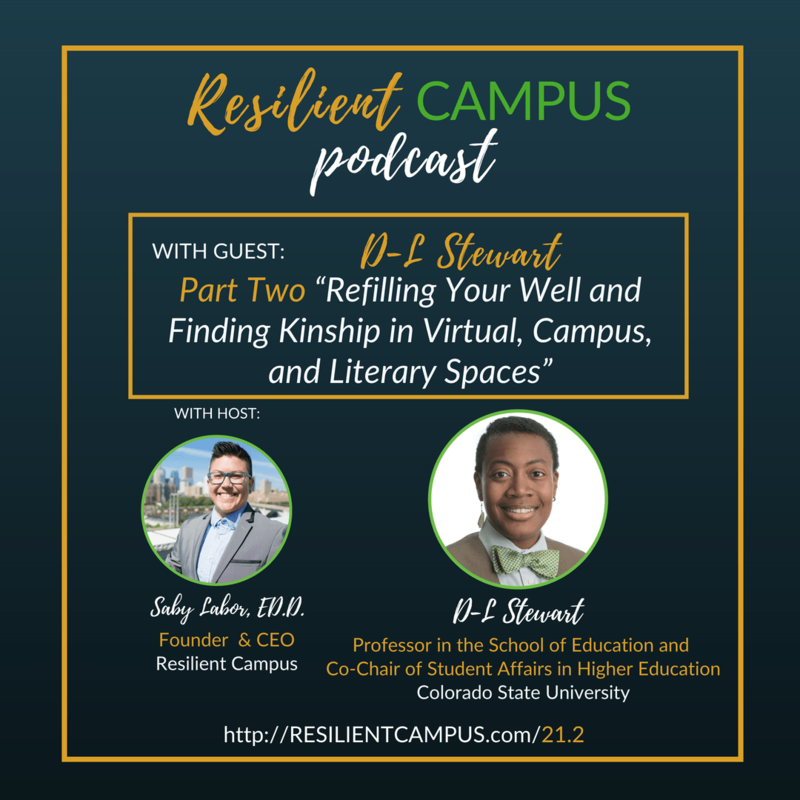 In the second part of my interview with D-L Stewart, we discuss where D-L finds kinship and “refills his well”, shares the biggest lessons and points of guidance for others doing social justice work in higher education spaces. D-L shares suggestions for maintaining the momentum needed for transformative social justice work and provides strategies for investing in people’s lives in higher education. Stay tuned for the comprehensive reading list of works that inform his work and details on how to add D-L to your network. D-L is a scholar focusing on postsecondary education and issues of minoritization; trans parent of a trans child; Violet’s human; Capricorn; over 40 Gen-Xer. “At some point the institution has to be willing to invest in capacity-building across the campus. This becomes a leadership question. There’s a difference between the one-on-one and “let me help you understand what’s going on here” and to engage in that labor, to recognize that you are engaging in labor that is not yours to do – that’s one thing. Phone calls will be incredibly difficult to squeeze in and I’m not much of a phone talker.